Warner Brothers is running a huge sale on iOS LEGO games this week (iOS = iPhone, iPad, iPod touch). All three of the Warner Brothers games are $0.99. I’m not sure if this applies to other countries. All three games “Universal”, that is if you buy them on the iPhone, you can also download and play them on an iPad without having to re-purchase them. 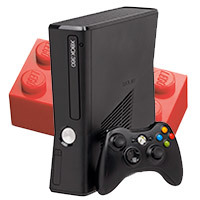 If you are an Xbox 360 owner, there is a very limited sale (less than 24 hours as of tonight) on a couple of the more recent LEGO games through the XBox Marketplace. We’ve been quietly working on some ideas and have had some major changes (including one of us becoming a father) over the past year, but fear not, we will be returning with the in-depth reviews and unique news that we have published in the past, just under a different format. We’ll be posting about this in the coming weeks, but in the mean-time, you’ll see the website undergo some major changes. Caption: Lego Great Ball Contraption (GBC) in my house. My own 17 modules, tracking the blue and red balls. Warner Brothers is running a $0.99 sale on several of its games, including the two Harry Potter LEGO games, as well as the iPhone/iPod touch LEGO Batman Gotham City Games. Both of the Harry Potter games are compatible with iPhones, iPod touches, and iPads (check the requirements at the links below). There is no information on how long these will run or if they are available in all areas. My guess is through at least July 4 or July 5, 2012, as there are several July 4 sales going on. Earlier today, Feral Interactive released LEGO Harry Potter: Years 5-7 for Apple’s Mac OS X computers. Obviously it covers the last three Harry Potter books, and the last four Harry Potter movies – Order of the Phoenix, the Half Blood Prince, and The Deathly Hallows. 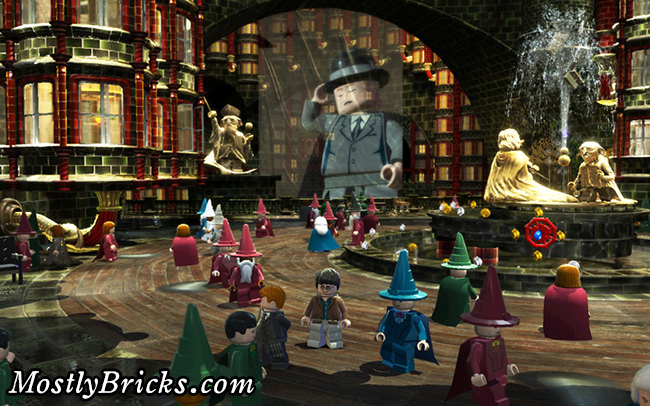 If you’ve played the previous LEGO Harry Potter games on computer or iPhone/iPad, you’ll recognize the humor that’s present.